These two superstar actors met while filming Me, Myself and Irene, and the couple was engaged from 1999 to 2000. The two parted on seemingly good terms. In 2015 the woman Carrey’s on again off again girlfriend tragically chose to end her life. 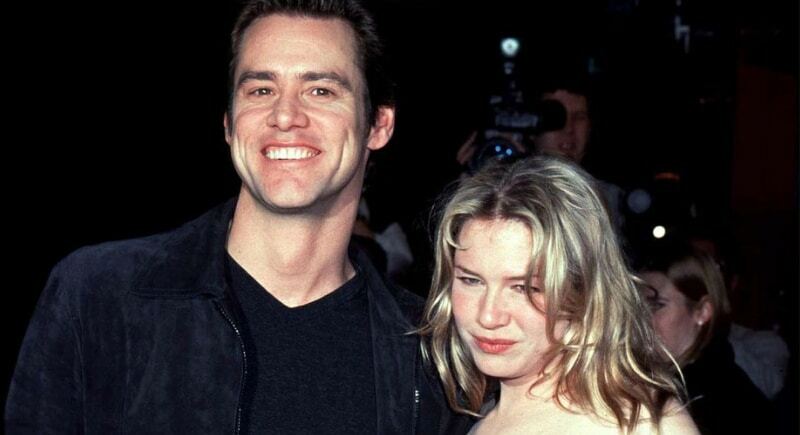 As a result, Carrey’s character came under fire but Renee was there to defend him and said he was nothing short of honorable during their time together. Now how is this for a whirlwind romance? Country star Kenny Chesney and Bridget Jones actress Renee Zellweger met in January 2005 during a tsunami relief telethon. Fast forward only a few months to May 2005 and the couple got married in an intimate ceremony on the island of St. John’s. Neither star had been married before and were public in their gushing over one another, but a mere four months later the Renee requested an annulment citing “fraud.” Chesney responded saying, “The only fraud that was committed was me thinking that I knew what it was like…that I really understood what it was like to be married, I really didn’t.” We may never know what really went on between these two.